The Framingham Risk Calculator can tell you a lot about your heart health - including your risk of having heart disease down the road. Your medical numbers can seem as dense, confusing and scary as a jungle. From total cholesterol to HDL: LDL ratio to blood pressure, triglycerides and fasting glucose, it's difficult to navigate them to find a sensible route towards better health. Don't fret, though. There's a heart-healthy path into the sunlight. In 1948, the National Heart Institute — now the National Heart Lung and Blood Institute (NHLBI) — began the Framingham Heart Study. The study gathered health information from 5,209 volunteers in Framingham, Mass., to identify risk factors that contribute to cardiovascular disease and, hopefully, find ways to reverse its increasing prevalence. The study continues to gather data not only from the original group but from two others as well — the children and the grandchildren of the first volunteers. One product of this mountain of information was the Framingham heart attack risk calculator. Plug in a few pieces of information, and voila! 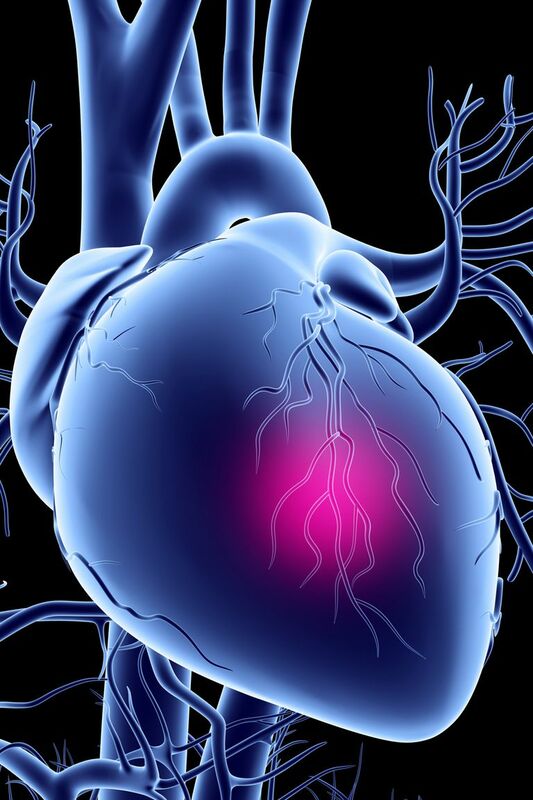 you find out how likely you are to face a heart attack in the next 10 years. For a more complete analysis, go to the NHLBI Diseases and Conditions Index online. One potential problem with the Framingham Heart Study and the calculator: The original study participants were overwhelmingly white. Since race and ethnicity factor into heart disease risk, though, that could be a problem. The NHLBI website argues that the risk factors identified through the Framingham Heart Study "have been shown in other studies to apply almost universally among racial and ethnic groups." Nonetheless, there are stubborn racial differences in heart disease. For instance, the U.S. Department of Health and Human Services Office of Minority Health observes that "African-American men are 30% more likely to die from heart disease than non-Hispanic white males." Yet African Americans actually have a lower rate of heart disease than whites (10% vs. 12%). Researchers at the University of Bristol (UK) have developed a heart disease calculator specifically for Britain's black and minority groups. Last but not least, remember that you need to be more than an odds-maker for your own heart. The next, crucial step on your path to a heart-healthy future involves taking action to reduce your risk by using the numbers to make healthy lifestyle choices and medical decisions. "Framingham Heart Study." nhlbi.nih.gov. July 2014. National Institutes of Health National Heart, Lung, and Blood Institute. "Calculate Your Risk of Coronary Heart Disease." Healthlink.mcw.edu. 8 June 2000. Medical College of Wisconsin. 25 Sep. 2008. "Detection, Evaluation, and Treatment of High Blood Cholesterol in Adults (Adult Treatment Panel III)." Nhlbi.nih.gov. 2004. National Institutes of Health National Heart, Lung, and Blood Institute. 25 Sep. 2008. "How Is High Blood Cholesterol Diagnosed?" Nhlbi.nih.gov. Updated November 16, 2014. National Institutes of Health National Heart, Lung, and Blood Institute. "Heart Disease Data/Statistics." Omhrc.gov. 27 June 2008. US Department of Health and Human Services Office of Minority Health. 25 Sep. 2008. "Ethrisk." Epi.bris.ac.uk. University of Bristol Department of Social Medicine. 25 Sep. 2008.